Calendar Spread is a slightly complex but an interesting options strategy. When I will discuss it, you will think its a great strategy which will almost always result in profits. But in reality it is not the case. Yes it can make great profits but one needs some skills to excel in this strategy. 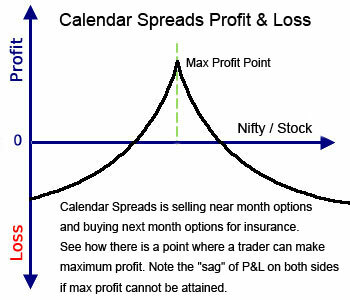 It is also called as Neutral Calendar Spread because the traders view is neutral on the market or the stock over the next few days or till the expiry of the sold options. However we will see that volatility also has a major role to play in Calendar Spreads. When your view is Neutral on the stock but you feel Volatility will increase in future. This means you expect not much movement over the next few days on the stock or the index. For a true Calendar Spread both options sold and buy should be of the same strike price. If you change the strike prices they are known as Diagonal Calendar Spreads which I will discuss some other day. Look at the image below. For now keep in mind that Calendar Spreads has a max profit point we discuss later. There is a sag otherwise. The max profit can be attained only on the expiry day. The trader has to pay money to trade Calendar Spread. This is because the options that are bought are costlier than the options that are sold because the bought options expire later. If you know about Option Greeks, you may know it is because these options have more time value (Theta) therefore they are priced higher. Suppose a trader sells current month’s At The Money (ATM) options expiring in 20 days and buys next months At The Money options expiring in 50 days. Basically his view is this: if the stock remains here for the next 20 days – the ATM option that he sold will expire worthless, but, the options that he bought will still have 30 days time to expire – therefore it should retain a lot of value (though less than what it was 20 days back). So the profit from the sold options should be more from the loss of theta from the options that were bought. If the profits from the sold options exceeds the losses from the bought options – the trader keeps the difference. I hope why this trade is made is clear. It is to profit from the difference of Theta (time value) of the current month sold options vs. the next months bought options. The current month option will expire before the next month options, and the trader can profit. This looks like an easy trade. Let me warn you. It is not. It only looks easy. 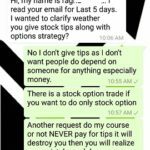 Why it looks easy is that the trader thinks that if Nifty goes against the sold options, the bought options will increase in value and save him from unlimited losses (true but he still loses money though limited), and of course if it falls the speed of the profit from the current month options will exceed the loss from the bought options (true and false – because it depends a lot on Volatility and movement of the stock). I will discuss how you can benefit from this as well. 1) Sale vs. Buy: There is no need to buy next months options. Yes liquidity is an issue in India, but in the US many traders sell 10-15% up/down current month’s options and buy 10-15% up/down options expiring in say next 6 months. They sometimes do it in both Calls and Puts – thus making it a Double Calendar Spread. Yes they pay good cash to trade this – but they also get amazing protection. If the stock does not go near the short options – they keep eating the premium for the next 5 months. Which means they keep on selling the next month’s options as soon as the current months expire – same strike. As you can see some months they make good money from the sold call and some month from the put depending on the stocks’ position. Thus by the time they reach the month in which the options were bought – they may already be in good profit. Now they can just keep these options as an open free trade of long strangle to look for a quick opportunity to make good profit either side. Remember this option has already been paid off and the trader is at zero risk to keep this till expiry. Even if he sells this at break even – he makes good money. In India this may not be possible now but who knows what may happen in the next few years. The liquidity in options are increasing every month. So right now you have no other option but to buy next months’ options. 2) Time vs. Volatility: This is a very important point. 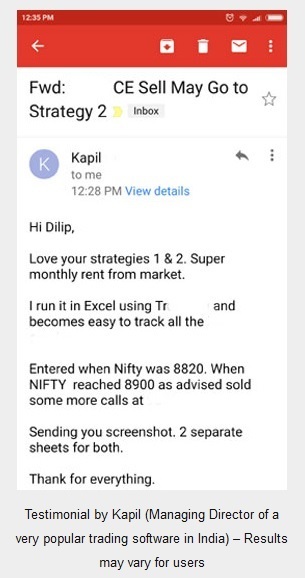 Assuming you sold an option 200 points up in Nifty current month and bought a next month’s option same strike. 30 days are remaining for expiry. Now lets discuss the best possible situation. 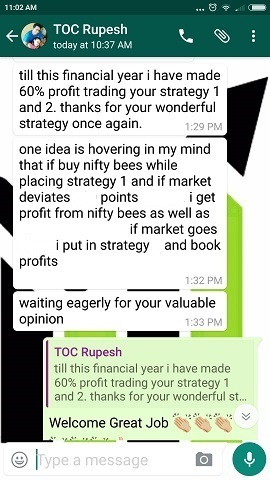 On expiry day of sold options (26-Feb-2015) Nifty is at 9090.
a) The same – Volatility has increased so Time value (Theta) did not have much effect on the option plus Nifty also moved up 200 points. Now 9100 is ATM option – when the trade was done it was out of money. c) Is less than 230 – most possible scenario. Volatility remained the same or decreased. Depending on the loss on this option the trader makes a profit or a loss. If this option is less than 119 (230-112) on the expiry day the trader will lose money. There is more to it. We have assumed that Nifty is at 9090 on expiry day just below the sold option strike. But that may not be true. It can be at 8500 or 9500 on that day. And Volatility too is unknown to the trader. We really do not know where Nifty and Volatility will be on expiry day. Hope you understand now. This is not as easy as it sounds. How Professionals Play Calendar Spreads? 3) Can be done on Futures too: Neutral Calendar Spreads can be done on Futures too. We all know that Futures carry a premium. This premium gets to zero on expiry day. For example Nifty is at 8890; NIFTY FEB 2015 Future is at 8945 and NIFTY MAR 2015 Future is at 9000 (real prices as on 29-Jan-2015). The difference is 9000-8945 = 55 points. If you think on the Feb expiry day this difference will increase you can sell Feb Futures and buy March Futures. Say on expiry day Nifty is at 8900. Then Feb Future will be at 8900 and lets assume you were right and March Future is at 8970. 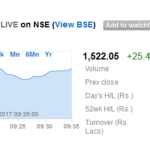 So your profits from Feb Future: 8945-8900 = 45. 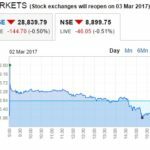 Loss from March Future: 8970 -9000 = -30. Difference = 45-30 = 15 Points profit. Or 8970-8900 = 70 – 55 = 15. If the difference is less than 55 points you will lose money. Reverse Calendar Spread works exactly opposite to Calendar Spreads. If Volatility drops – Reverse Calendar Spreads usually profit. Because profits from the sold options are more than the loss from the bought options. Just a note on margin requirements on Calendar Spreads. NSE recognizes Calendar Spreads on Futures. You can read in details here. Calendar Spread Margin: Contracts where futures position at one maturity is hedged by an offsetting futures position at a different maturity would be treated as a calendar spread. The calendar spread margin shall be charged in addition to worst-scenario loss of the portfolio. If done on Futures your broker should block only the maximum loss. For example in the above case its 55 points. Because you lose only if the difference is less than 55 points. Max loss is 55 points (which is very rare). 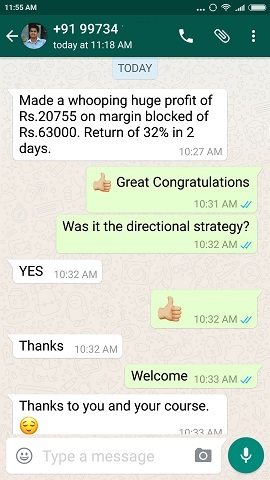 On options unfortunately NSE does not recognize Calendar Spread as a limited loss strategy therefore full margin will be blocked for selling options. Please ask your broker for more information. Note: Calendar Spreads are actually traded on points difference only on NSE as a single trade. You need not buy one Future and Sell another. You can just sell the Calendar Spread at 55 points and buy it back whenever it comes in profit or on expiry day. Margin blocked for one lot will be 55*25 = Rs. 1375 + brokerage. That way even if you make 10 points on this, its a great profit. 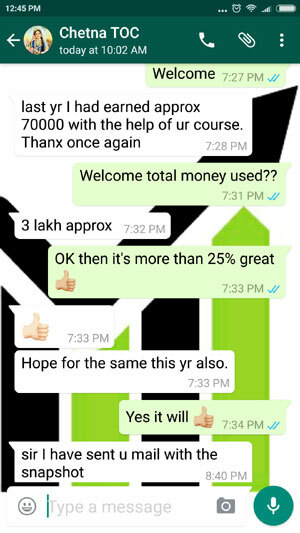 25*10 = (250/1375) * 100 = 18.18% return in 30 days or less just on 10 points. But please do not attempt just based on what is written here – if the difference is less than 55 on expiry, you will lose money. Please consult your broker for more details. If you think the difference will be less than 55 on FEB expiry. You can sell the Calendar Spread and buy it back for a profit later. Or if you think it will increase you can buy the spread and sell later. In this trade real Futures are NOT bought or sold. Its a bet between two persons. One of them wins other losses. Since there are just two trades you pay less brokerage. However STT is calculated just like its done on a Future trade so that still remains an issue. Hope I am able to help you understand that Calendar Spreads are more complex than what most of us think about. Its more of a professionals’ trade than a retailers’. If you still want to try please try on one lot only. Neutral Calendar Spreads are trade where the trader sells current month’s options and buys next months’ options. It is done on same strike. Calendar Spreads are done when the trader thinks Volatility will increase in the near future. Reverse Calendar Spreads behave exactly opposite of Calendar Spreads. This is done by professionals when they think Volatility will decrease. Can be done on Futures. On Nifty Futures the Calendar Spreads are actually traded. You need not sell one Future and Buy another – you can accomplish this in a single trade. Margin blocked will be the max loss or the points being traded at that time. I am sure many of you have traded Neutral Calendar Spreads. If yes tell me do you wait till expiry or book your profits or losses within a specified time/points? Very interesting & full of knowledge article Dilip Sir.Keep writing..!! !